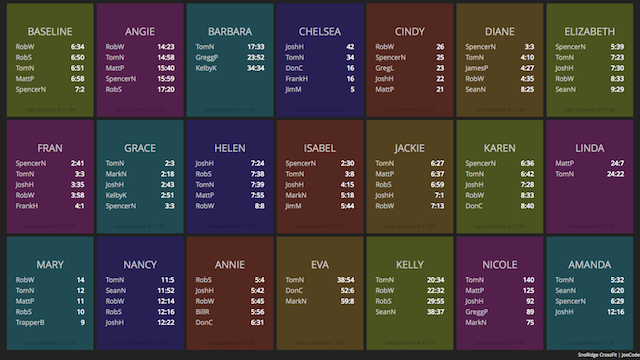 Dashboard application useful for showcasing CrossFit WOD results using data from Beyond The Whiteboard and powered by Dashing.io. The Girls Dashboard needs your login credentials in order to query BTWB information specific to your box. 3. Setup and Deploy to Heroku as instructed at Dashing.io. I built The Girls Dashboard for SnoRidge CrossFit. I've configured the dashboard to work best on a 1080p LCD display. Enjoy.